I’m not sure how the city of Nottingham compares creatively in the sphere of blog writing with other similar cities. Save for Edinburgh perhaps, I haven’t the time to scour contemporary towns and their respective blogs and observe how they stack up against the output from The Lace City. I have a hunch though that Nottingham is pretty well served by it’s blogging and writing talent generally. The Tears of a Clown is not necessarily a ‘Nottingham Blog’ by any means. I tend to just write about the subjects that interest or amuse me and the experiences I have. Nevertheless any visitor browsing through this site will come across plenty of Nottinghamshire content and I like to maintain the site’s partly local identity. In doing this I often browse around to see what my fellow Nottingham based bloggers are saying and am seldom disappointed in what I come across. I initiated this blog site after formerly running my own regular website and posting articles on there. 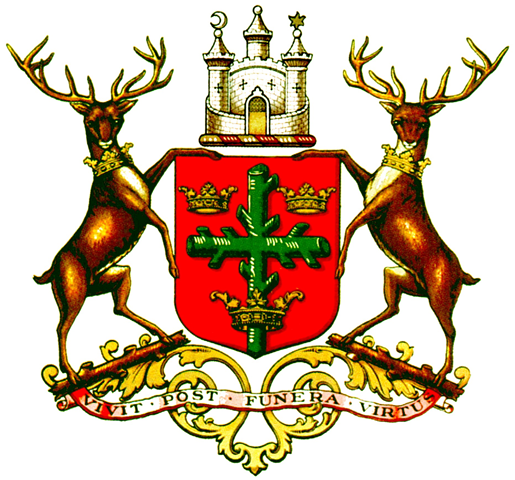 In June 2007 I attended a lecture at the Lowdham Book Festival given by Mike Atkinson. What I heard that day in a most entertaining and hugely informative talk by Mike, prompted me to initiate The Tears of a Clown. It’s only fitting then that I begin by linking to his own blog, troubled diva. Don’t be fooled by the tag line, Mike Atkinson’s piece of the Web has pretty much all the things you might enjoy about a blog experience. Great content, quality writing, humour and information. Although going through a hiatus or two due to professional writing duties, it remains a vibrant and fun read, particularly if you enjoy reading about music. Features including the highlighting of other interesting articles from around the Net, Twitter and a well-populated comments section keep up the interest. I haven’t been reading Alan-a-dale’s blog for too long but what I see I like a lot. Lot’s of local content expressed in an individual and very readable and personable style. Brookes, Alberta’s Rob Cutforth who bills himself as ‘A Canadian in New Basford’ is one of my favourite bloggers and whilst not hugely prolific his articles are always worth the wait. Rob no longer lives in Nottingham having moved to Manchester but posts excellent and hilarious items on the superb LeftLion website, and hard copy newspaper, here in Nottingham. This site is by a friend of mine and thus I’ve watched it rise from the former ashes of a former hard copy publication much beloved by Nottingham Panthers Ice Hockey club’s fanatics. In this way it’s a good example of the way that paper fanzines can transform to the Net with great success. Webmaster, Jono, has recently embarked on a useful service from Panthers home (and some road) games in which he texts live game updates to the front page of the blog site. If hockey is your bag – and it certainly is mine – take a visit. You won’t be disappointed. Informative and well written local reviews from Phil with the accent on food. I wish I had thought of that blog title..! The outstanding Nottingham writer’s contribution to blogging. Sadly another blog that hasn’t been updated in a little while. Brush up yer Nottinghamese ‘ere mi duck! There’s something nice and reassuring about Barnze’s postings on everyday life in Nottingham. I’d say that his journal is fairly adjacent to what people expect from a blog. Whatever you do, don’t mention cats though…! Some good, meaty reading for all the online Reds fans. Any Notts blogs out there? 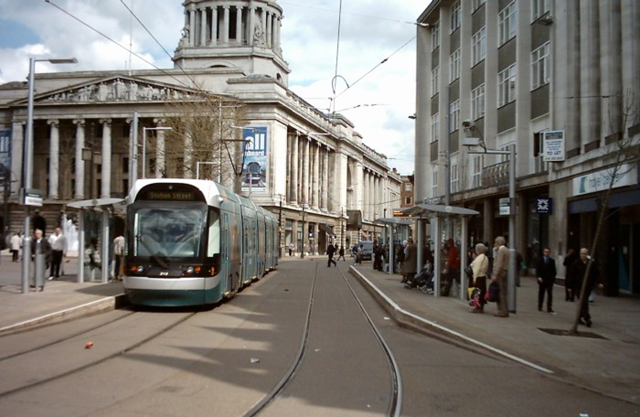 Take a look around the city of Nottingham with some lovely and intriguing shots of the old town. Nottgirl’s intriguing title may attract some and it certainly always draws me back. I’ve observed some criticism of it’s pointing to the more negative side of Nottingham but personally feel it provides an unhealthy gathering of some of the less acceptable things about Nottingham. Unfortunately I find myself agreeing with some of the items in there all too much. It’s good to have balance and I feel that nottgirl’s site unashamedly does this. Where would such a review be without the inclusion of a blog bout Robin Hood? As the title suggest another pictorial blog with some intriguing content. Not updated for some little time, it would be good to see some new content on this site. An enjoyable site with lots of interest and some nice images. Very much to my taste. An interesting looking site from beyond Burton Joyce which appears to be in it’s infancy. Some writerly comment about local issues. Another excellent, and slightly satirical ,service for those wishing to keep a close eye on what the local council are up to. Another blog showing a keen interest on what happens in the hallowed halls. This blog, with it’s many superb reviews, has sadly not been updated for some time but I include it for it’s useful past local content. Any blog with the words ‘Militant Elvis’ in the titles surely has to be worth a read. Just a few words. I’ve tried to include every reasonably current Nottingham blog I know of in this review of local sites. I’ve probably however forgotten somebody out there! The intention here is to be as comprehensive as possible so if you don’t see your Nottingham blog here please drop by and let me know, I’ll be pleased to add it to this list. Just as I had hoped, there are more Nottingham blogs out there. I just knew there had to be a blog site like this for Nottingham out there! A professionally produced and informative focus on the various faces of the creative sources and communities around the city. I’m going to enjoy delving further into this CreativeNottingham. Eireann’s blog displays her great creativity in an elegantly written, photographed and presented style. You’re welcome mate. Keep up the good work. Thanks for the mention Stuart… and for pointing me towards some new Nottingham blogs. No problem. Hope you enjoy the ‘new’ blogs. I’m certain there will be more out there! I seem to have got two mentions! Great post Stuart – I’ve duly linked to you from the Creative Nottingham blog – do of course feel free to add us to your list! I’m glad to add your excellent blog and will be interested to take a look around it. Well done on providing an excellent focus on Nottingham’s creativity. Cheers for the plug mate..
Hi, Lord Beestonia here, very flattered to find you gave me a mention. My regular readership might even double to four now, so ta very much. However, I must point out that Beeston is technically not in Nottingham, but rather a county suburb (and future Republic/ benign dictatorship ). Good work though, I’m proud to be in such illustrious company. You’re welcome my Lord! I eagerly await a future Parliament being set up at The Hop Pole. That is pretty preposterous. I like your reply! Keep telling it how it is. Wow what a find! I never knew we had so many talented bloggers in Notts? I am looking for guest bloggers from our fair city and (if you do not mind) will contact almost all on this list in due time. Inspiring! Thank you for that, looks really interesting. I knew nothing of John and I’ll be especially interested being a Redhill resident myself.